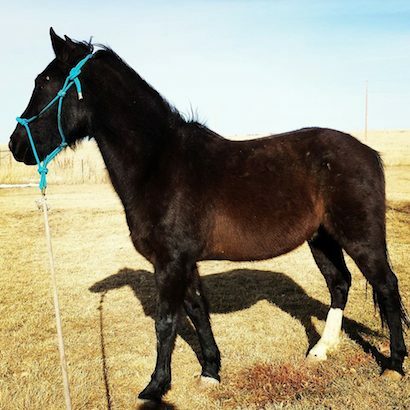 My horse is herd bound, I am pregnant and I'm worried about our safety. “Stacy, this is Drummer. He has such a great personality and is very willing to learn…our issue is that he is herd bound. If he cannot see his 2 buddies, he gets filled with anxiety and it seems like he loses his brain! How do we get through this? We are working on ground work, but as soon as his friends aren’t around he wont pay attention. I’m worried about our safety. I am 5 months pregnant and I am not riding at the moment. Just lunging and doing those simple things for now.”-Victoria H.
I recently wrote a blog answering the question, “How long did you ride while you were pregnant?” but I didn’t go into detail on the groundwork side. You are dealing with two separate issues here; a herd bound horse and pregnancy. The short answer on your herd bound horse is that he isn’t viewing you as a leader, at least not under pressure. The issue may seem like it is the buddies but what Drummer is telling you is that he isn’t willing to listen to you at that time. This could be happening because Drummer needs more training. If he doesn’t really understand the groundwork cues then he will seem to ignore them. If you go back and watch Episode 3 of Stacy’s Video Diary: Jac you will see an example of a horse that didn’t understand the groundwork cues…and wasn’t very interested in sticking around to learn them…which brings me to the next part of my answer. In your question you mention that you are ‘Just lunging and doing those simple things for now.’ As you can see by watching Episode 3, the horse will play a large part in how ‘simple’ the groundwork will be. When I am training a horse I consider myself to be the teacher and the horse to be the student. Some students ask tough questions and the teacher needs to be able to answer them. Many problems horses have can be traced back to a time when they were accidentally rewarded for bad behavior. For example, if a horse almost runs you over because it is frantic about being separated from his buddies and you move, to avoid the possibility of injury while you are pregnant, the horse may learn two things. The horse learns that you don’t have a clear plan and he also learns that when push-comes-to-shove, he is able to shove you out of the way. The herd bound issue is one that can be fixed, the question is…are you the best person to do it at this time? If it were me, I would stay safe and make a plan to get in shape after the baby is born. Needing to train your horse will be the perfect excuse to go to the barn for a break! ← Connecticut Supreme Court ruled horses as “a species naturally inclined to do mischief or be vicious"
It is good safe advice, but I know when I was 5 months pregnant I wasn’t willing to sit on the shelf. But here there is a fear of injury. I looked up some statistics on fetal trauma death, 0.03% to 0.09% of pregnancies (3 – 9 in 10,000 pregnancies or in other words 9997/10000 did not die of fetal trauma). Car crashes and domestic violence lead the causes of pregnancy trauma, with about half of those including substance abuse. Of pregnant women who went to the hospital because of traumatic accident in one hospital (1994-2002) 79% had no complications, 12% had contractions that abated, no complications, 3% had placental abruption with successful C-section, 6% fetal or fetal/maternal death. So yes there is a risk, but it’s pretty darn small especially if you remove the substance abuse. Skip riding in a motor vehicle and pick your male partner carefully, you’re 90% risk free of having a traumatic accident (note another about 9% were suicides) – pretty sad all in all. But lets go on, 4 out of 5 = 80% of accidents happen while riding (she already isn’t riding). Ground work is safer, and it can be even more safe depending on what’s done or ‘not’ done. I don’t know if she has a separate stall area or pen so she could be outside the fence – a lot can be taught using clicker training even outside the fence – politeness around food, lowering their head, come, directionals, haltering/bridleing, tricks, etc. and these can build the relationship. A fence will mostly eliminate the risk of kicks or any kind of shoving or being stepped on. Other angle; If you’re not attached to the horse you’re safer (in general) = free lunging. Or if anxiety is the big fear, why not work in the presence of the other horses (near, but not loose). With herd-bound horses I often do stuff in close proximity to the other horses, building the distance progressively so that the anxiety is below thresh-hold. There is no rushing and you build trust. I think there are lots of ways to be safer and still do training, just think differently – we don’t have to cowboy up, but we also don’t have to magnify fears. “Great personality and willing to learn”. Your words. You lack experience. You do however have desire and probably a great deal of passion. Cut the strings and sell this horse. Do an honest assessment of your abilities. Your pregnant, kid on the way your going to be a mommy. You probably do not have and will not have the time to work this problem out. The risks are not worth it. One thing you should ask yourself, would you ever be able to trust your baby around or on this horse when he or she is three, four, five, six years old. All my kids were on horses when they were that age, and these were horses I enjoyed riding also. Go out find a been there done that type horse, they are out there you just have to hunt, once the hunting over all ya gotta do is ride and enjoy. I would urge Victoria to not take a chance on injury at this time. Horses can be very dangerous at any time and doing anything can lead to an accident. The stakes are even higher if a person is pregnant!